Gluten-free eaters unite! Today, maintaining a gluten-free diet is stress-free thanks to the abundance of alternative pasta that is on the market. Whether they are made from brown rice, quinoa, corn, or lentils, these innovative noodles are healthy and delicious making them a great choice for pasta bakes. 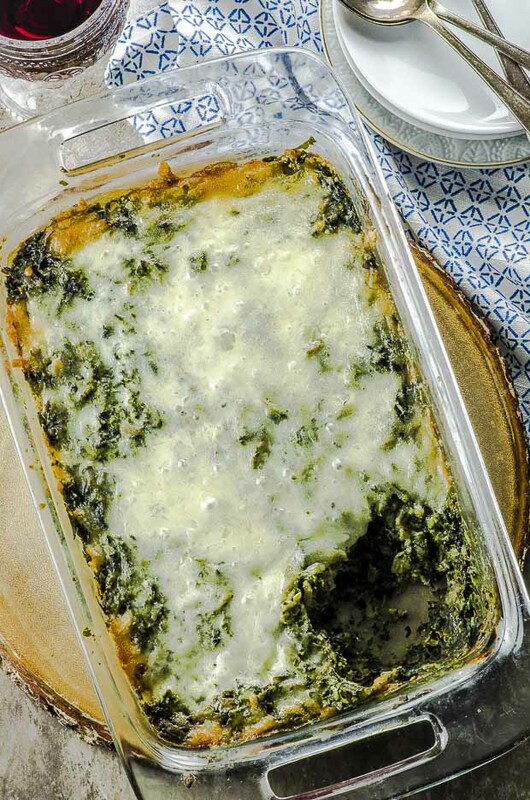 Our favorite new dish is a pasta bake that brings together high-protein mung bean pasta, spinach, cashew cream and a sprinkling of nutritional yeast. This pasta bake is easy and quick to prepare. We break down the steps of the recipe so that they may be completed earlier in the day, including simple steps like defrosting the frozen spinach and soaking cashews in water. We also harness the strength of a Nutribullet, or other high-power blender, to create our delicious cashew cream. Try taking five minutes in the morning to measure your cashews to soak in a large bowl of water and take the spinach out of the freezer to defrost. (We suggest that you leave the spinach in another large bowl; as it defrosts, it’s dark green juice somehow finds its way all over the kitchen!) If you have an additional 10 minutes, you can cook the mung bean rotini, drain, then mix with a scant amount of olive oil to prevent the noodles from sticking together. Later in the day, once soaking is complete, combine the cashews with the soaking water and nutritional yeast in the blender until you reach a creamy consistency. Mix in a large baking dish with the defrosted spinach, then fold in the rotini. 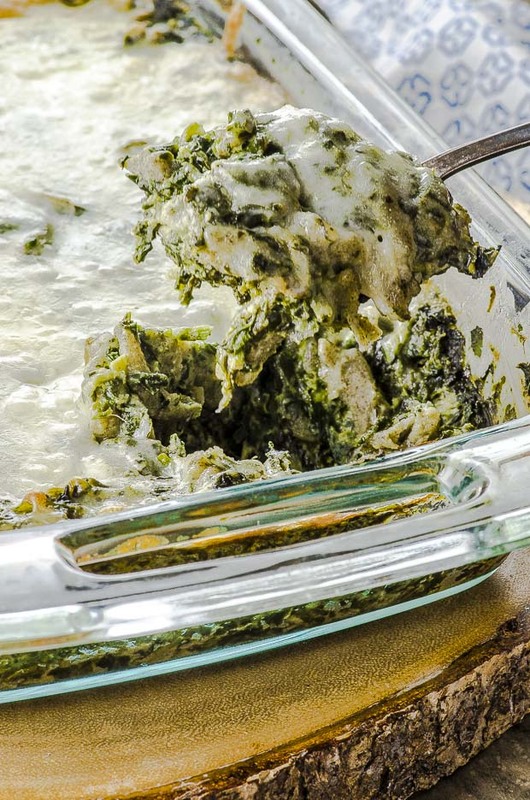 Spoon the cashew cream on top and bake. We like to serve with a simple green salad, or something more sophisticated like our Gem Heart Fig Salad with Creamy Balsamic Dressing or Kohlrabi Apple Salad with Walnut Vinaigrette. 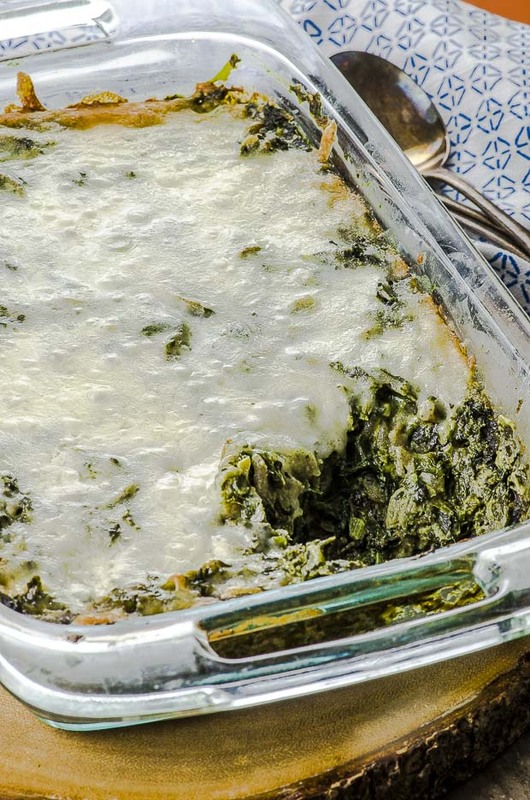 We’re not sure what you’ll enjoy more – the spinach pasta bake, or all the time you saved in its preparation! I really love this recipe. I did it already the high protein spinach pasta bake. And is delicious and easy to make. Thank you so much! We are so happy you liked it! Would you rate it for us? Thank you, so glad you enjoyed our pasta bake! Pardon me, I made a few alterations and additions, but this casserole is soooo very awesome!!!! Thank you, Ladies!